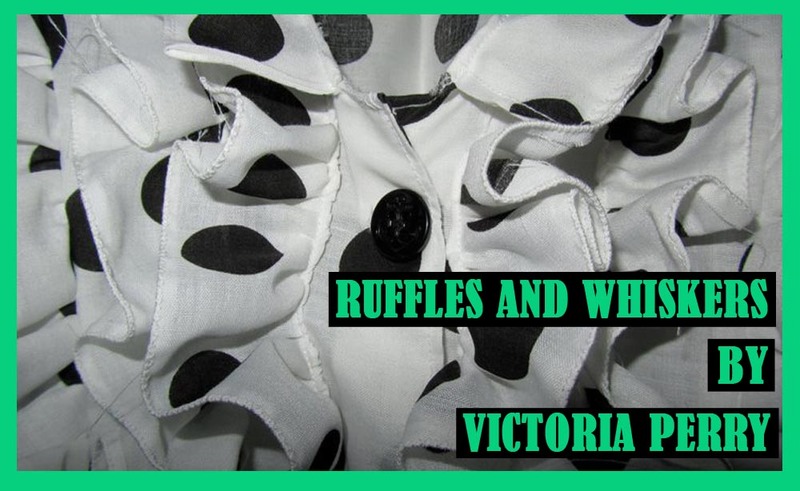 Ruffles & Whiskers: Sewing Fail - In need of some advice! I hadn't planned on making a post today, but as I had a free afternoon I thought it would be the perfect time to have a little play around with some fabric. 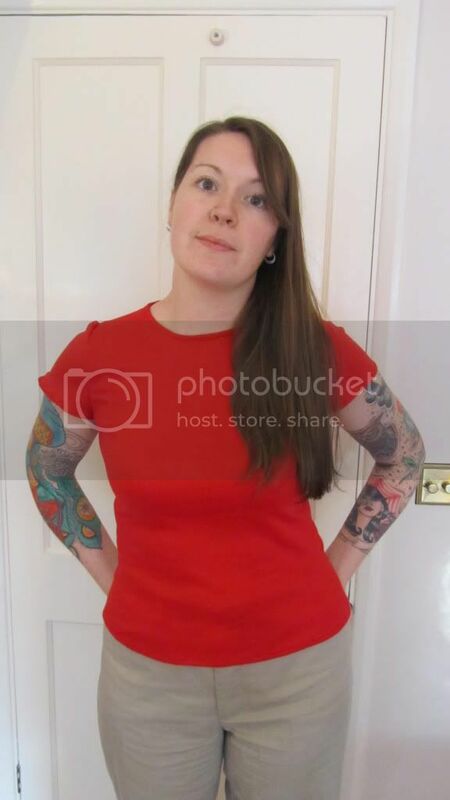 I've had some t-shirting fabric in my stash for well over a year, mainly due to the EPIC failure that was a vest top I tried to make at the start of my sewing journey. But, a year on, I thought it was about time I faced my fear and tried again. 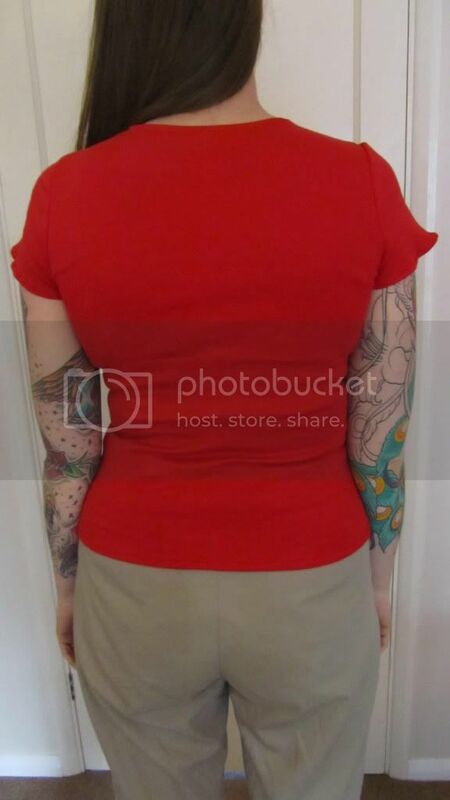 I decided to make a simple t-shirt using a pattern available in Burdastyle Magazine 06/2011. It was all going so well until the last hurdle. The last thing I had to do was hem the sleeves, and then BAM! the thread tension screwed up. I was using a 3.5 length stitch which up to that point had served me extremely well, so after some playing around it turned out my machine then decided it would only work again if I reduced the length to 2. 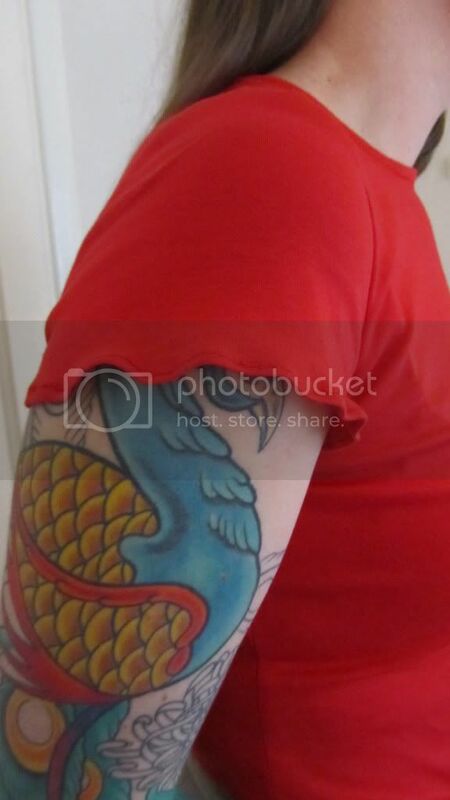 As i'm sure you can imagine I am now left with wavy sleeves. Not exactly the look I was going for! So, my question to you all is, have you sewn with t-shirting before? 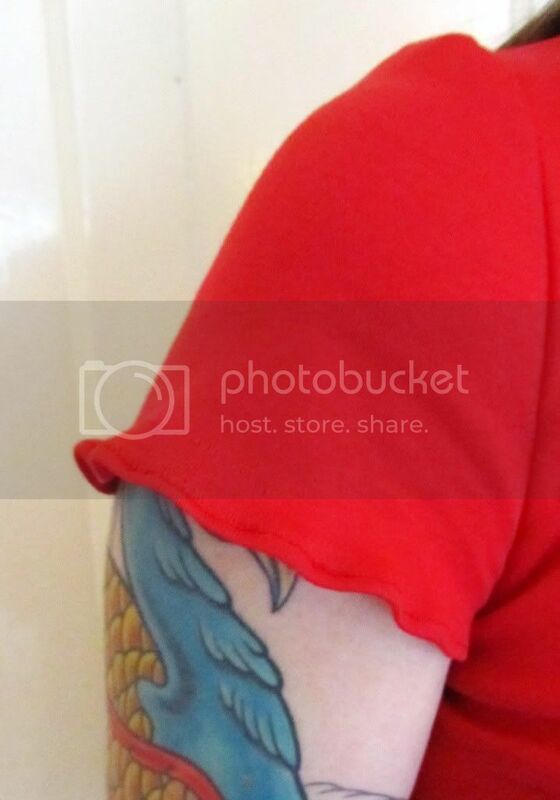 What's the best set up for stitching?Should I have made sleeve facings like the neckline instead of trying to hem? Or do you reckon my machine has lost it? I've had this problem so many times. There are a few ways to prevent it, depending on the tools you have. It mostly has to do with the presser foot tension -- it's pulling too much on one side of the fabric as you sew. A walking foot helps feed the fabric evenly. I've also heard that placing tissue paper between the bottom layer of your fabric and the feed dogs helps the fabric slide along without stretching it unevenly.